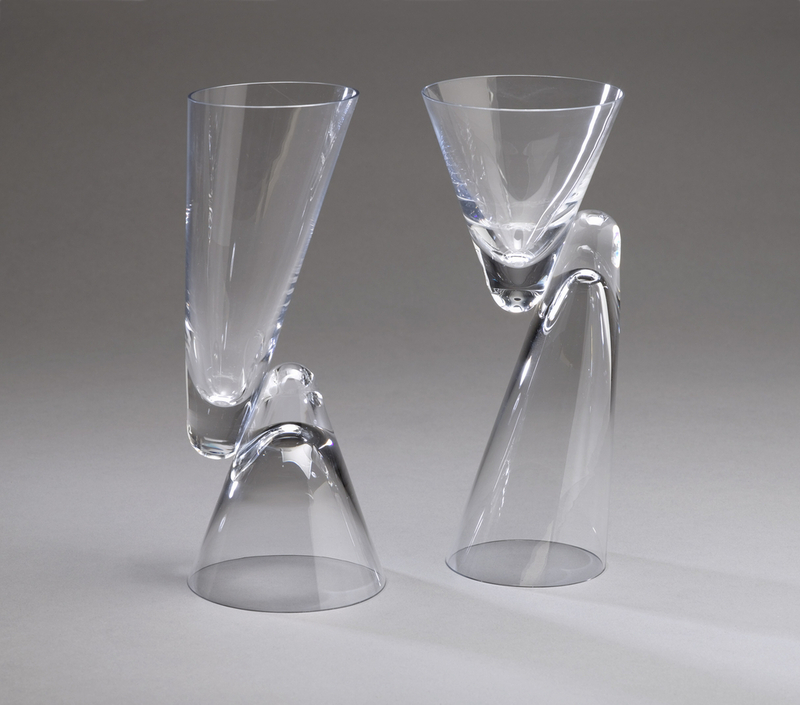 This is a Goblet. It was designed by Achille Castiglioni and manufactured by Danese Milano. It is dated 1983 and we acquired it in 1986. Its medium is glass. It is a part of the Product Design and Decorative Arts department. This object was donated by Bruno Danese snc. It is credited Gift of Bruno Danese snc. Acid-etched factory mark and designer signature on outer edge of point of longer flute.